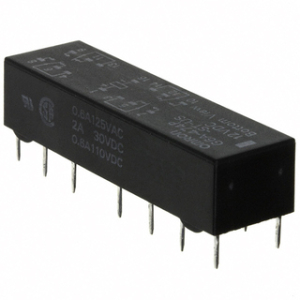 The original G6A-434P relay was manufactured by Omron, a relay which became a popular version of the classic telecomms. DS4E type small signal relays. This relay has not been manufactured for many years. it is obsolete and very difficult to source. The original datasheet for the Omron G6A-434P is available to be downloaded below.